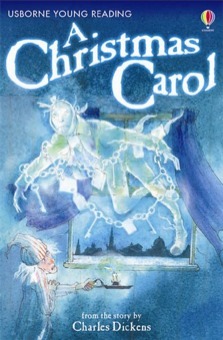 The classic Dickens story retold for children growing in reading confidence. Ebenezer Scrooge is a mean-spirited old man who hates everything - even Christmas! But when three spirits visit him one Christmas Eve, Scrooge is taken on a journey into the past, present and future that will change him forever. Shows it is never too late to change your evil ways, and how seeing your past, present and future can change how you look at things.